In today’s competitive job market, the most qualified candidates have more than just classroom knowledge. They have the valuable hands-on experience that will stay with them throughout their careers. You’ll get that with an internship at Conco Construction. With our self-performing business model you’ll get the real-time work experience you need to fast track your career. What Will I Do As A Conco Intern? As an intern, you’ll be exposed to our self-performing business model, which includes carpentry, concrete, dirt work, metal building erection and masonry. 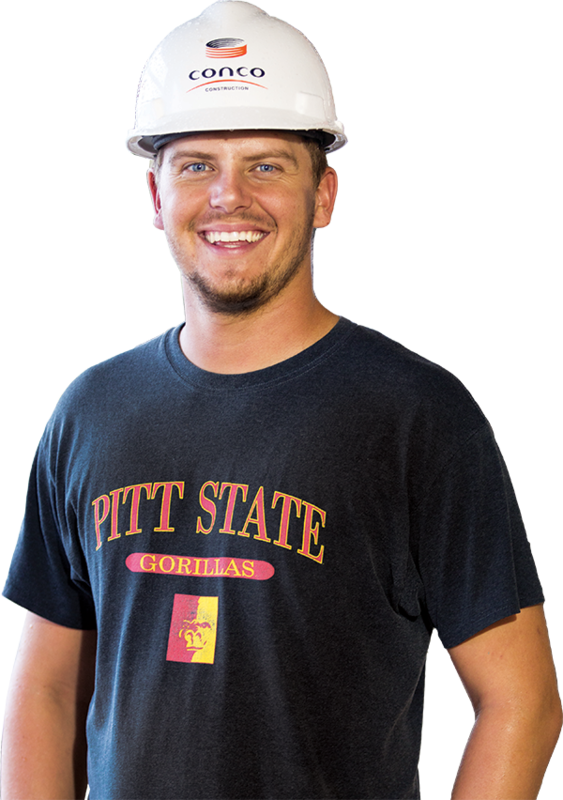 When you complete your internship you’ll have a hands-on, working knowledge of the entire construction process. This will give you an important competitive advantage, both in the classroom and through your career. At Conco, we turn rookies into veterans. Want to know more about upcoming internship opportunities? Let us know.